Children pose a problem for participation in clinical trials because they cannot consent. A similar problem exists for participation of some elderly patients (as spelled out in a previous post on this blog), or for other categories of patients momentarily or permanently unable to understand the research nature of the trial, and therefore to give an informed consent. 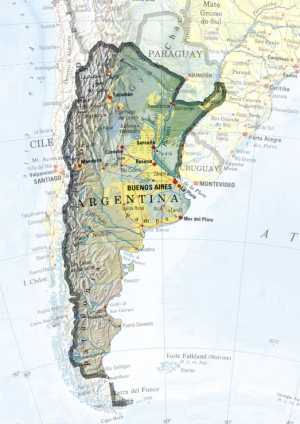 The Argentinean province of Santiago del Estero, with a population of nearly a million, is one of the country’s poorest regions, and is severely affected by Streptococcus pneumoniae, that is the major cause of infant meningitis and pneumonia in Latin America. Data from UNICEF estimate that at least 50,000 children die each year of pneumonia in the region (updated as of 2006). “COMPAS” is the name of the clinical trial designed to test the efficacy of Synflorix, experimental pediatric pneumonia vaccine. Developed by GlaxoSmithKline (GSK), the world’s fourth-largest pharmaceutical company in terms of global prescription-drug sales, the new vaccine was intended to compete against an existing vaccine being administer in the active comparator arm. Sarah Alspach, US spokeswoman for GSK, said the company is not attributing the deaths to the experimental vaccine, which is being tested in three Latin American countries (Argentina, Panama, and Chile) and in other countries around the world. Notwithstanding Alspach, an independent board monitoring participants’ safety recommended that the Latin American trials be temporarily suspended -which they were -due to “received complaints about irregularities in the recruitment of patients“. What did these irregularities in the recruitment of patients amount to? In practice, the parents – some illiterate- had their children signed up without understanding that they were taking part in an experimental research study. Local doctors who persuaded parents to enroll their babies in the trial reportedly received $ 350 per child. Dr. Ricardo Ruttiman, the regional medical affairs and research & development director of GlaxoSmithKline responsible for the COMPAS trial in Argentina, rebutted accusations and told ABCNews that participation was always voluntary and that parents were “informed, clearly and in a language they can understand, by experienced medical investigators” . 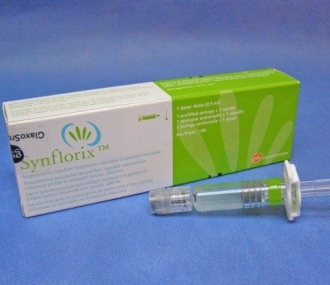 Synflorix received authorisation for EU marketing approval on March 31, 2009 and on November 6th of the same year received also WHO approval. The vaccine will not be marketed in the US. As to the reasons underlying this decision and as reported CEO Andrew Witty for Reuters: “It’s clear that Synflorix versus Prevnar is a much more competitive innovation outside of the US because of the presence of different pneumococcal subtypes. […] My expectation, subject to some further analysis, is it probably won’t be Synflorix we take to the U.S”. The Argentina’s National Medicine, Food and Medical Technology Administration started an independent investigation on whether the vaccine was responsible for the infants’ deaths. I could not retrieve information on how this independent investigation ended, but found this interesting piece of information here: one of the lead GSK investigators is Enrique Smith, who happens to be the brother of Juan Carlos Smith, the Argentine provincial health minister. As put by Jim Edwards (author of the story reference above), “So even if GSK has done nothing wrong, it just looks… weird“. The scientific causes of the deaths in the COMPAS trial will probably never be brought to light, and so we are left with the doubt on whether they were due to pneumonia, other trial independent causes, or to the experimental Synflorix vaccine. The ethical concerns raised by the parental therapeutic misconception concerning the research nature of the study, though, remain. Edwards, J. Body Count Linked to GSK Vaccine Trial Rises, August 18, 2008. Deaths of 14 children ‘could be linked to GlaxoSmithKline trial drug, Daily Mail Reporter, August 15, 2008. Petryna, A. When experiments travel: Clinical Trials and the Global Search for Human Subjects.Princeton University Press 2009. Reuters news, Glaxo may not launch Synflorix vaccine in U.S, February 5, 2009.